These "Luxury" tags are printed on a much thicker paper than our Economy option. As with all our swing tags, a hole punch is included. Strings are not, sorry! And remember, complete your order online today and you will receive a voucher for a free Premium A2 Poster. 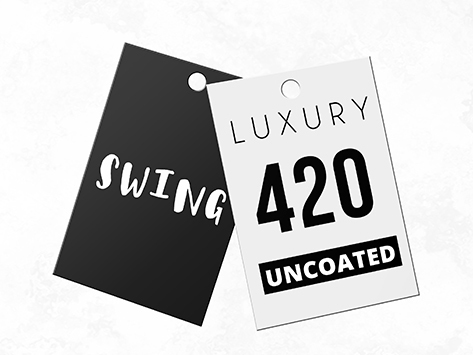 It's a great promotional tool for your business and the perfect complement to swing tags for your retail displays. Don't delay, order today and save.